11:39 a.m., Sept. 5, 2012--Allan McMaster Thompson, associate professor emeritus at the University of Delaware, died at age 72 on Aug. 27 in Wilmington, Del. Born in Ithaca, N.Y., on May 22, 1940, to parents Craig Ringwalt Thompson and Isabella McMaster Thompson, he spent most of his childhood in Appleton, Wis. He graduated with a bachelor of science from Carleton College in Northfield, Minn., and obtained his master’s degree and doctorate from Brown University in Providence, R.I. He joined UD’s Department of Geological Sciences in 1967. 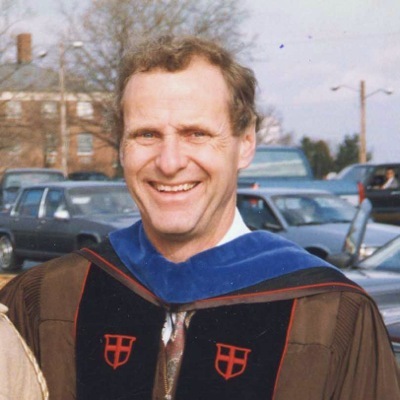 In 1986, Dr. Thompson was honored with the University’s Excellence in Teaching Award, which recognized his unrelenting dedication to the quality education and experience of his students. His long career in earth science took him to many parts of the United States and abroad. Known to his students as “Doc,” he is remembered for the many field trips he led to share his deep commitment to geoscience. For nearly 15 years, he taught the department’s summer field geology course, an intensive eight-week study that took students throughout the western United States and became a cornerstone of the undergraduate curriculum and experience. He furthered his passion for geology and education by working with high school science teachers and by acting as the coordinator of the Secondary Science Education Program at UD from 1986–93. After 38 years at UD, Thompson retired in 2005 with emeritus status. He and his wife, Linda, were married in Wilmington, Del., in 1997. Their combined love for hiking took them throughout the West where they enjoyed nature and the outdoors. For many years, he was an elder at the First Presbyterian Church in Newark, and then later joined The Unitarian Universalist Society of Mill Creek, where he and Linda were active members. He is survived by his wife, Linda J. Lucero; his two daughters from his first marriage to Marilyn Jones Hopkins  Cynthia V. (Grace) Thompson Armes and her husband Geoffrey Armes, and Susan E. Thompson and her fiancé Jason Rita  his granddaughters Myra L. and Suzanna E. Armes; and his brother James C. Thompson and his wife Jean Swanson. A celebration of his life will be announced at a future date, with information posted on the UD Department of Geological Sciences website. Former students, colleagues, friends, and family are invited to visit a geological sciences webpage to honor Dr. Thompson. In lieu of flowers, contributions may be made to Alzheimer’s Association of Wilmington, Del., or to the Thompson Field Experience Scholarship Fund established in his honor.